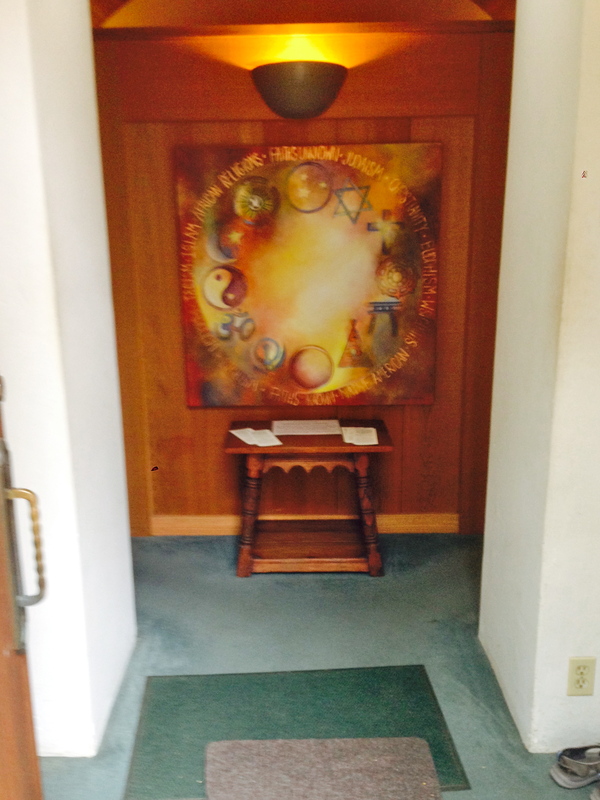 Our hour of centering prayer in the small Meditation Chapel tucked among the oak trees was nearing an end recently when our facilitator, Jeanette, said words to this effect. I am always grateful to be able to sit prayerfully in silence with others. It is a community of prayer that lends support and peace to my life. Centering prayer is a contemplative form of giving your intention to God, and allowing your body, mind, and spirit to simply be in the presence of the Holy. It’s not about forming words or thoughts, like so much of the prayer I am asked to do in my work as a minister. Even though I am conscious of trying to let go of the need to say the right words or the best words when I pray in public, there is usually a sense that someone (not least of all myself) is measuring those words for an adequate expression of faith. In centering prayer I let go of any need to satisfy others and simply sit in the stillness that is able to fill the cathedral of my inner being. Even when thoughts arise and distract me from my prayerful intention, I do not worry that my prayer is inadequate. I am aware of the Spirit welcoming me again and again into life and joy. For me, one of the most powerful settings for God to release the healing balm of grace is in a contemplative community praying alongside one another. Thank you. You had me at the title. Thank You for that insightful look at Prayer, and I have to remember that God looks upon our hearts, not necessarily the ‘words’ we use.